Have you scheduled your dental appointment? Regular dental appointments are extremely important to both make and keep. Unfortunately, many people are not thrilled about visiting the dentist on a regular basis, so they shirk going and tell themselves it’s fine. If you haven’t been to the dentist in recent years, now is a great time to contact a local dentist and make an appointment. Seeing a dentist on a regular basis is absolutely essential to keeping up with your health. Even when you are diligent about taking care of your oral health through brushing and flossing daily, plaque buildup happens. A regular cleaning will take care of plaque buildup and ensure that your teeth are entirely clean for the next six months. If you are at risk for oral cancer, it is absolutely essential that you see your dentist on a regular basis so you can get an oral cancer screening and watch out for the initial signs of this dangerous disease. Catching cavities early is essential so that all you need is a filling instead of a root canal or tooth extraction to fix the problem. At each dental appointment, your dentist will be able to check for cavities by looking inside your mouth and possibly taking x-rays as well. Gum disease or periodontal disease is extremely detrimental to your oral health. It can often lead to complete tooth loss, in fact. At your checkup, your dentist will be able to check for this disease and help you eradicate it if they find it. Some people struggle with bruxism, which is also known as teeth grinding. This can cause tooth fracturing and loose teeth in some cases. Your dentist can check for bruxism by looking at the enamel of your teeth to see if there has been excessive wearing down. Experts and dentists across the United States agree that optimally, you should see your dentist for a cleaning and checkup at least twice per year. Therefore, you should try to make a dental cleaning appointments every six months. If you are an adult, you should also get x-rays every few years to make sure that the inner structures of your teeth and gums are healthy and cavity-free. 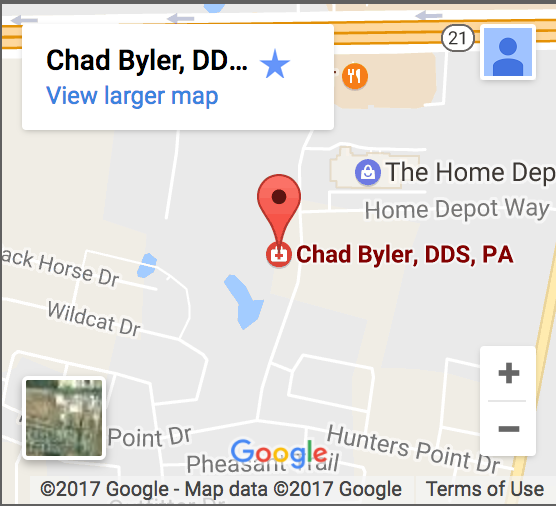 If it’s time for your annual dental checkup appointment, contact our dentist in Bastrop, TX today. We can offer you a thorough cleaning and checkup to make sure that everything’s healthy and fine with your oral health. In addition to cleanings and checkups, we also offer numerous additional services as well. These include: extractions, bridges, veneers, teeth whitening, dentures, crowns, dental implants and smile restoration. Give our offices a call today at (512) 308-9860 to learn more and schedule your appointment!